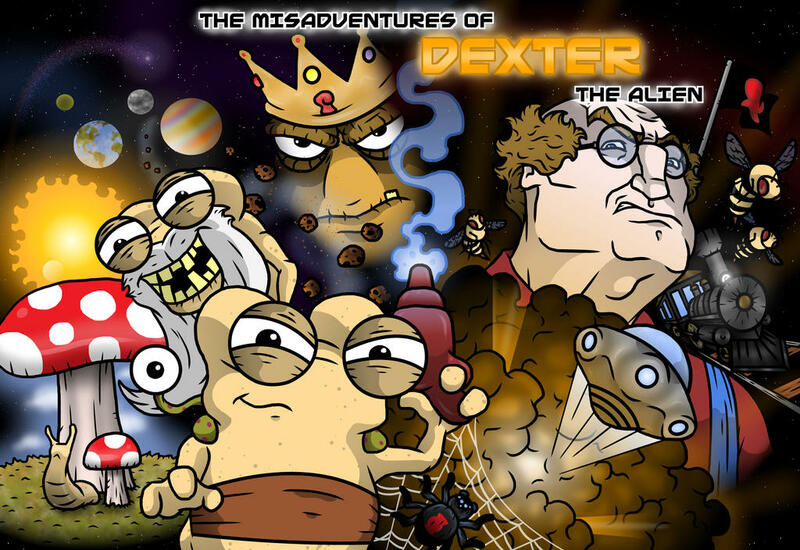 Just a little promo art for the first issue of Dexter. Thanks to everybody who has been reading so far! Thank you! When is your comic coming back? When you put it all together, Our Heroes have been quite busy! True. I had trouble fitting it all into one page. Ha, I even had more I was going to put on there, but didn't want to start cramming things. That picture seems to visually sum up his advanture so far. nice artwork; I see that you used it as a banner. Thanks, man! Yea, I'm hoping it will help attract new readers. I know this is a over used word and all but this promo is EPIC! Thank you! I'm actually glad you said that because "epic" is what I was going for. Like that old school epic feel that the Star Wars and Indiana Jones posters used to have. Yeah you defintly captured that feel here! Yeah, I knew something was up when I saw the cool new banner! Nice promo, man! And you're suspicions were correct! Thanks! Thanks! That means a lot coming from a fellow artist! Very well done, this will attract new readers to your comic. Awesome! Woohoo! I love getting new readers. Have you made it to the second issue yet?